So.... Drupal 8 got released! Congrats everybody! The end of life of Drupal 6 is then final. In addition, the 16th of november it was announced that Drupal.org is now serving its content and files via Fastly; which is giving a significant performance boost, well done! This module modifies the behaviour of an ‘anchor’ within a page. So the page will not jump down but fluently scroll down. We have installed this module here. There are a lot of ‘evil spiders’ active on the internet. These are web crawlers that don’t respect what is written in your robots.txt. This can cause unnecessary load on your server and uncover information that you don’t want to see in a search engine. This module is solving this problem. It will block the IP when a spider does not behave, with as a result that it will no longer have access. Hi! Wij zijn Lucius: een getalenteerde club van Drupal open source professionals. Bel ons op 020 - 261 14 99, mail ons op info@luciuswebsystems.nl, of stuur een bericht via ons contactformulier. Do you want to make an announcement in the last moment before a visitor is closing your Drupal website? Then this module can be useful. It functions like Exit monitor or Bounce Exchange.
!) Note that it is currently an alpha module, so not yet suitable for live Drupal sites. Do you want to maximise the security of the email addresses of your registered users? This is possible with this module. It encrypts the addresses in the database. Should the database end up in the wrong hands, then the email addresses cannot be read. Encryption is done using AES. A popular module existing since Drupal 5, but I never noticed it before. It is performing a check on entered fields (e.g. title field) and checks whether the entered title is unique. This will prevent the use of double titles which is good for, among others, SEO. By default Drupal is not creating a login archive. This module will do this for you: it creates an archive in which the history of logins will be stored. Generates a sitemap for your Drupal 8 website and can also create RSS feeds for example for your blog. This is the Drupal 8 version for the popular Drupal 7 module Sitemap. Easily place files in content. This Drupal 8 module adds a new button to the editor, which will make it easy to upload and place files. Validating a form in your Drupal website without refreshing the page. 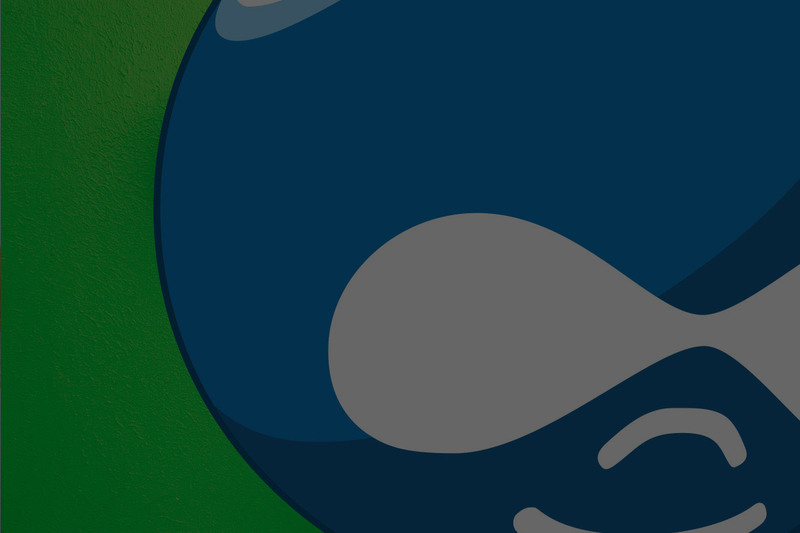 This widely used module now offers a Release Candidate for Drupal 8. Probably you recognize this one: the message above a website on your Smartphone that you can view the page in a native app. If you built and linked an app (e.g. via DrupalGap) then you can generate this ‘app message’ on your Drupal website using this module. An own module that has to be mentioned;). This module extends Drupal social intranet OpenLucius with a ‘news tab’ on the homepage. News about the organization can be placed here. The title of this Drupal 8 module says it all: it provides an XML sitemap that you can upload to search engines, so you can see the indexation of all your site links in the relevant search engine. The module also has a few configuration options like setting ‘priority’. Tighten the security of your Drupal system by limiting the number of sessions with which a user is logged in. You can for example set that somebody can be logged in once; if somebody is logging in on his/her Smartphone then he/she will be automatically logged out on the work computer. Set how many times a user can attempt to log in before the account is blocked. Deny access based on IP, temporarily or permanently. It seems that passwords and accounts are guessed. bruteforce attacks or other inappropriate behaviour when logging in. Another own module, that should be mentioned as well ;-). This module extends Drupal social intranet OpenLucius with a LDAP connection, so that users can login to OpenLucius with their existing LDAP account. Gives additional protection to a certain page (node). A password can be set when creating the node. If somebody then wants to look at the node, the password must be entered to get access. It is common to ‘deploy’ Drupal code (PHP, JS, CSS) via GIT within an OTAP street to a live Drupal server. Usually with the use of a Continuous Integration tool. But with this module you can perform quick fixes per page without the whole operation. It offers the opportunity to add additional CSS; per node, content type, block or global. Not how we would do it, but I can imagine that this could be a handy tool for Drupal site builders. This is probably also the reason why it is so popular. Alright, these are the modules for this month. In December we will introduce again new ‘cool Drupal modules’, so stay tuned!